MariaDB is an open source relational database management system (DBMS). MariaDB is the compatible drop-in replacement for the widely used MySQL database technology. MariaDB intends to have high compatibility with MySQL and exact matching with MySQL APIs and commands. 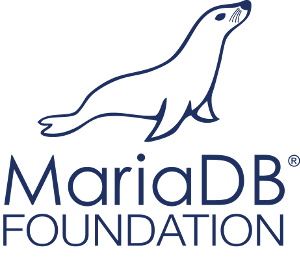 MariaDB's API and protocol are compatible with those used by MySQL, and also some other features to support local non-blocking operations and progress reporting. MariaDB is developing continuously and updates are transmitted to end users very faster and features like bug tracker can be viewed in detail. They also offer a cluster database for commercial use and enables multi-master replication. MariaDB supports more engines and has been optimized for performance and is much more powerful for large amounts of data sets. Migrating from other database systems to MariaDB is very beneficial. At HostingRaja you also get cheap domain hosting solution at an affordable price. All of the MariaDB is licensed under LGPL, GPL or BSD. MariaDB involves a wide range of storage engines, that are high-performance storage engines to sync with other RDBMS data sources. MariaDB uses a standard querying language. MariaDB is compatible with a wide range of operating systems and various programming languages. MariaDB is most compatible with the widely accepted programming language PHP, which is one of the most popular web development languages. MariaDB provides Galera cluster technology. MariaDB offers additional operations and commands that are missing in MySQL. Replacing which minimizes the negative impact on the performance. Security is the first aspect that everyone looks for. You must be updated to ensure that you are all the time updated to the new technologies that a spammer or hacker may use. MariaDB releases the security updates more frequently compared to any other databases. The latest version of MariaDB is provided with more and more features. And it is leading in releasing the most advanced features in very short amount of time. The more number of feature are adding more functionalities to it. Having more storage engines ensure that the capacity has been gradually increased. Some of the technical aspects most used in the other databases which are essential and installed as the third party, are the official releases in case of mariaDB. The MariaDB is designed to deliver the best possible performance. It has been designed with better query optimizer and has the better optimistic improvements. There is number of test cases which implies that the MariaDB has better and faster performance than MySQL and its other rivals. Galera is the new generation of clustering engine, which works on master-master replication, unlike master-slave replication on MySQL. MariaDB is compatible with most of the operating systems and almost all the programming languages. The additional functionalities which are missing in the other databases have lowered the negative impact on the server. These features are designed to provide the better compatibility will all possible environments. Since the MariaDB follows the SQL standards it is easy to use as well. The migration of the data is easy though. HostingRaja provides MariaDB hosting service at the lowest price. With their VPS, cloud and dedicated MariaDB server, they provide good storage, bandwidth, RAM, CPU, and disk space and much more. And HostingRaja is the only MariaDB cheap hosting India in India who offer a free control panel with all the required features built in. With their MariaDB hosting, you also get 99.99% server uptime and 24/7 customer support. HostingRaja is the leaders in providing various types of website hosting services in India. They always take a leading step to adopt the latest available technologies into the server to ensure that the most advanced service is delivered. In terms of available databases, there is a dedicated module that handles creation, delete, and manage all possible functionalities related to the database. The plans at HostingRaja are designed to provide a higher level of convenience and flexibility to the clients. The plans are more affordable compared to others. To know more about the plans and features offered by us then can kindly contact our sales team members via live chat and toll-free no 1800-123-8642.